Nereus Program Alumnus Andrew Merrie, Stockholm Resilience Centre, is curious about how those futures might differ. Using an innovative method called science fiction prototyping, he’s devised a set of four radical futures for global oceans and fisheries. 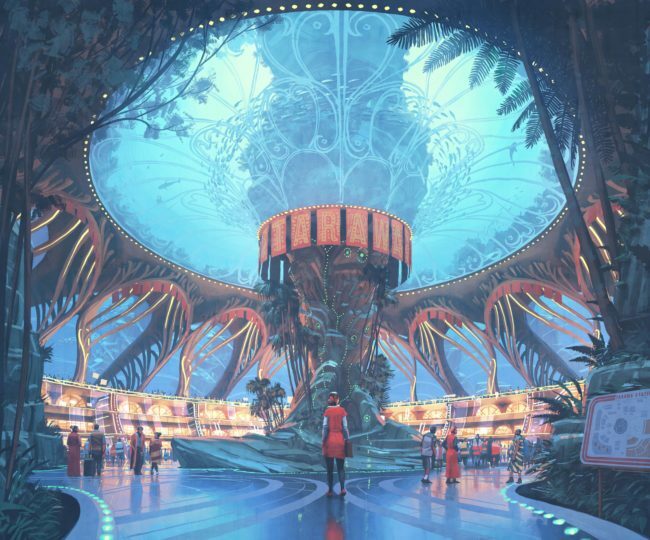 Two of the scenarios represent more utopian futures, the other two are more dystopian. They are written as speculative fiction in different, engaging narrative styles: a travel magazine article, an obituary, the transcript of a “TED”-like talk, and a series of recovered journal entries. Merrie commissioned concept artist Simon Stålenhag, through a science communications grant from The Swedish Research Council Formas, to really bring these narrative scenarios to life with these four stunning images. The images were published this morning on Wired. "Rime of the Last Fisherman" by Simon Stålenhag. These scenarios are part of Merrie’s PhD dissertation — “Global Ocean Futures: Governance of marine fisheries in the Anthropocene.” Merrie recognized the need to not only understand what’s happening in terms of climate change and marine ecosystems, but also look at how these projected changes will impact human societies and the global fishing industry. “Rime of the Last Fisherman” shows a dismal future where the ocean becomes all but dead; a lone fisherman surveys the damage. "Fish Inc" by Simon Stålenhag. 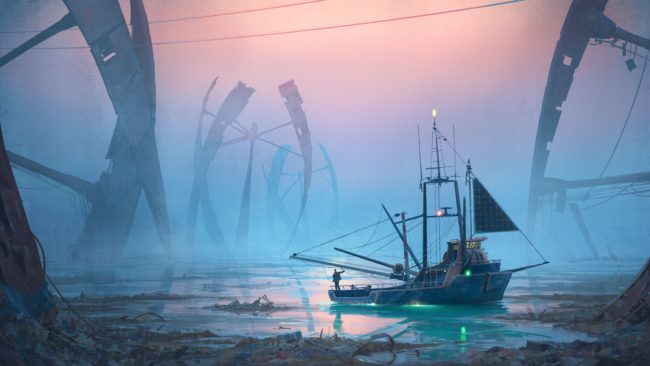 Another dystopian future, “Fish Inc” shows the total industrialization of the fishing industry. The ocean has become a place for factories; a large tank is filled with jellyfish. "Rising Tide" by Simon Stålenhag. “Rising Tide” shows a healthier future ocean, but one in which humans live underneath the rising sea levels. "Oceans Back from the Brink" by Simon Stålenhag. The final image shows healthy oceans back from the brink of disaster, with vibrant ecosystems and well-managed fisheries. 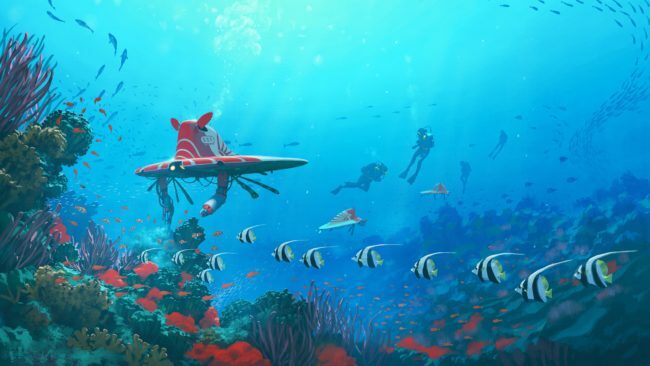 This scenario even has robots working to clean up the ocean. “These images can be used as entry points to the science,” says Merrie. While they are fictional scenarios they draw on ecological, technological, socio-economic and governance trends and they are built on a rich and deep scientific evidence base.